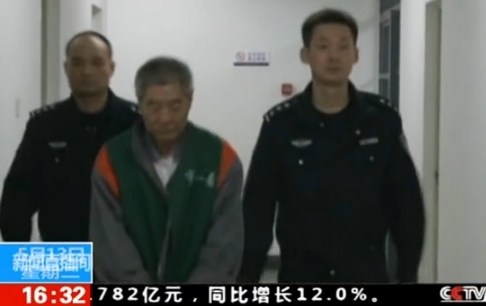 China's state television shows the "confessions" of the two journalists. Xiang is accused of "provoking trouble" with his news. Gao was charged with leaking "state secrets." Analysts and colleagues appreciate instead their professionalism. In recent weeks, academics and activists have been arrested, leading some to call for changes to the law on "state secrets", and blame the country's Communist and imperial legacy. Beijing (AsiaNews) - Journalists Xiang Nanfu and Gao Yu are the latest victims of a Chinese government that remains ultrasensitive with regards to the approaching anniversary of the Tiananmen Square massacre (4 June). As it does every year, Chinese police is rounding up dissidents, placing them under house arrests, isolation or detention. Xian Nanfu, 62, was arrested for allegedly publishing false news on Boxun, an overseas Chinese website, as well as "picking quarrels and provoking trouble". Gao Yu has been accused instead of selling "state secrets" about Chinese Communist Party policies. Well-liked in their profession, the journalists appeared on state television "confessing" their crimes. Police accuse Xiang of "picking quarrels and provoking trouble" and providing false stories to Boxun, including claims authorities had harvested organs and buried people alive, according to police. In response, Boxun said the report was only about protest actions against government crackdowns. Watson Meng, founder of the US-based Boxun, said that the detained journalist was "trustworthy", and denied that Xiang had been paid "large amounts of US dollars" for his reports. What is true is that the government has already used the same charges against participants to a seminar on the anniversary of the events of Tiananmen Square, and arrested four people, including academics, lawyers, activists and Christians. The charge against Gao Yu, 70, is even more serious. The journalist, who has already served seven years in prison, is accused of selling "state secrets" to an overseas website, a charge that could land her in prison for ten years. However, neither Xinhua nor the police have clearly defined what a state secret is. According to Mingjing Monthly, which has published her articles, the timing of Gao's arrest coincides with reports about a confidential party circular known as Document No. 9 issued last year that ordered government officials to tackle "seven subversive influences" in society, such as "Western" constitutional democracy and "universal values" like freedom of speech and respect for human rights. Issued some months ago by the Party, the document is important because it shows that Xi Jinping is not living up to the promises of political reform he had made ​​at the beginning of his mandate, and shows instead that is he moving closer to a more dictatorial way and Maoist form of rule. Analysts and colleagues have expressed solidarity with Xiang Nanfu and Gao Yu, whose work was always very professional. Many now wonder if it is not time to eliminate or clarify what "state secrets" meant. In recent years, many journalists have run afoul of the law for this reason. Indeed, the law on state secrets is very general and can cover any leaks disliked by the country's leaders. "This law is influenced by the fear of Tiananmen, a fear that stems entirely from Communism and the imperial era. Until the 19th century, Chinese were not allowed to have contacts with foreigners, or even teach them Chinese," said a journalist who wishes to remain anonymous.